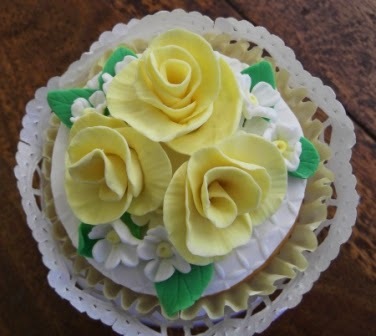 A dainty lemon Cupcake, with lemon yellow roses and white daisies, from the Cake Angels for Diane's Birthday. Delivered as a surprise just to make her day. An oversize Cupcake, of course, so that there was plenty to share. 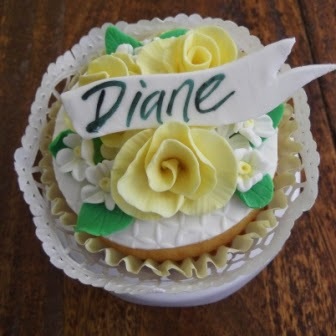 But Diane insisted that she was keeping it all for herself and that the flowers were 'too pretty to eat'. We heard from secret sources, that she still had half a Cupcake left on her desk the next day, complete with flowers which she was still admiring. Wonder if it has all been eaten yet ??! !